(Avi Ohayon/GPO) Israel backs its words with action and is willing to pay a major price for peace. Establishing peace is a fundamental goal of Jewish tradition and the declared policy of the State of Israel. Israel has long sought peace with its Arab neighbors and particularly with the Palestinians. The great challenge in making peace is that it is a process that hopefully does not end just with the cessation of hostilities between former enemies, but with the beginning of a new relationship of coexistence. Israels ultimate goal is to establish good neighborly relations with a Palestinian state. Against the background of more than four years of terrorist bloodshed, Israel has initiated its Disengagement Plan in the Gaza Strip and northern Samaria, both to enhance its security and to put the peace process with the Palestinians back in motion. For it to have a chance to work, the plan requires a considerable sacrifice on the part of some 1,700 settlers and their families, or about 8,000 people who must leave the homes and livelihoods they have built over the course of several decades. In the short term, it is these settlers who are paying the greatest part of the price for peace. It is they who were encouraged by previous governments to settle barren land and turn it into homes, gardens, and farms, in the same pioneering spirit that built the State of Israel. They are now being asked to relinquish these accomplishments for the greater good. Many of these pioneers came to the Gaza Strip, for example, as young couples - and are now facing the trauma of leaving their homes with their children and grandchildren, for whom Gaza has been their only home. 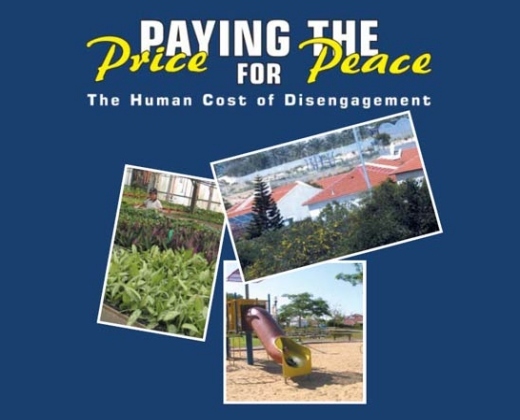 The following capsule descriptions of the 25 settlements included in the Disengagement Plan show what some of Israels pioneers are giving up for peace. A moshav (freeholders collective) founded in 1986 as part of the Hapoel Hamizrahi religious moshav movement and the Bnei Akiva national religious youth movement, Bedolah has 33 families and a population of about 220. Most of its members grow peppers, tomatoes, and other vegetables in hothouses for the local market and for export. In recent years a number of immigrants from France joined the moshav, adding to its cultural diversity. Founded in 1978 following the Camp David Accords, Bnei Atzmon is a mixed collective/privatized religious moshav of some 70 families comprising more than 500 people. The settlement has a well-developed educational system for some 550 pupils from nursery school through high school. Bnei Atzmon has more than 5,000 dunams (1,250 acres) of field crops, 12 dunams (3 acres) of turkey runs, a dairy, a construction firm, and a plant nursery considered to be one of the most advanced in the region. Established in 1982 by a group of 22 Bnei Akiva (national religious youth movement) families, Gadid now has some 60 families, with another 15 families from France staying at its immigrant absorption center. Unlike the other agricultural settlements in the Gaza Strip, Gadids original hothouses were built alongside the residences. As the settlement grew, additional hothouses were added beyond the residential area, including ones operated by the Berbie family to produce medicinal herbs. About 60 percent of the herbs exported by Israel come from Gush Katif. A member of the Hapoel Hamizrahi religious moshav movement, Gan Or was founded in 1983 by graduates of the Bnei Akiva and hesder yeshiva movements, the latter which combines yeshiva study and military service. Most of its 50 families earn their livelihoods from vegetable hothouses, with the rest belonging to the free professions. The community, which recently completed building a synagogue and adjacent events hall, also houses the Tohar Girls College, which offers religious studies and extension courses at the Open University and at Bar-Ilan Universitys campus at nearby Ashkelon. This religious moshav was founded in 1979 by Bnei Akiva graduates. Most of its 65 families make their living from hothouses where they grow agricultural produce, including organic vegetables, flowers, seeds, house and garden plants, and spices. Ganei Tal also prides itself on its wide range of cultural activities. agricultural training at nearby Moshav Bnei Darom. Today the moshav numbers more than 60 families and has a population of about 330, some 220 of them children. 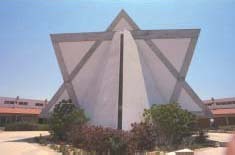 In addition to its many other educational institutions, its members founded the Katif Yeshiva for Marine and Desert Environmental Studies, which combines religious and environmental study. Katif operates a dairy and manufactures fabrics and hothouse equipment, while its own hothouses produce vegetables for export. Established in 2001 by five families in an abandoned orchard between the settlements of Bnei Atzmon and Morag, Kerem Atzmona today numbers some 15 families with a population of about 60. It members work in education and the professions. The southernmost of the Gush Katif settlements, Morag began as a Nahal outpost in 1972 and became a religious moshav in 1983, affiliated with the Hapoel Hamizrahi movement. Most of its 29 families work in agriculture, growing tomatoes, leafy vegetables, spices, and other produce in hothouses. Despite coming under constant terrorist attacks, Morag recently added seven more families and completed building a central structure for use as a synagogue. Originally established as a Nahal settlement in 1973, Netzer Hazani was founded as a civilian moshav by 12 religious families in 1997. Today most of its 70 families make their living from hothouse agriculture, growing organic vegetables and a wide variety of spices for export, as well as breeding fish in fishponds. 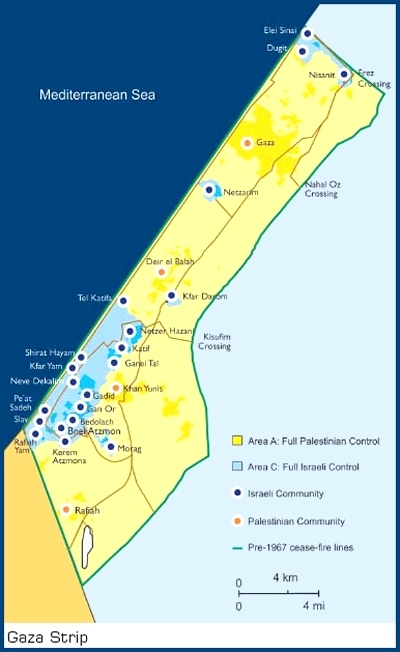 This religious communal settlement of some 500 families (population about 2,600) is the largest in the Gaza Strip and serves the other settlements as an administrative and service hub. Neve Dekalim maintains the offices of the local council, religious and health services, a commercial and industrial center, a wide variety of religious educational institutions and youth movements, cultural activities, a community center, and the regional library. Established as a temporary settlement in 1989, Peat Sadeh moved to its present location on a hill overlooking the sea in 1993. Its 20 families comprise 110 inhabitants, 70 of whom are children. The residents of this communal settlement are a mixture of secular, traditional, and religious. Most engage in agriculture, with the remainder in the professions. This mixed secular/religious communal settlement was established at a temporary site in 1984 by young couples from various parts of Israel and moved to its present location in 1991. Most of its 25 families (population about 100) make their living from advanced hothouse agriculture, while community seamstresses manufacture clothing for Israels leading fashion houses. Founded in 2000 in response to the terrorist bombing of a schoolbus at nearby Kfar Darom, the settlement on the seashore has 16 families with 26 children. Most residents work in agriculture, with the remainder in the professions. First established in 1980 as a Nahal settlement, Slav began functioning after the Sinai withdrawal in 1982 as a staging camp for settler groups and as the site of the Midreshet Hadarom college. Today three families live in one part of the settlement, while the rest serves as a Border Police base. Founded a few months before the signing of the Oslo Accords in 1992, the settlement has 15 families, most of whom make their living from agriculture with a view to developing the seaside location - which boasts a natural lake - for tourism. Founded in 1990, Dugit is a seaside communal settlement of about 20 families (70 people) who make their living from fishponds and tourism. After living in caravans since Dugits establishment, several families received permission to build permanent homes. Founded in 1983, in part by settlers forced to leave Sinai under the peace treaty with Egypt, Elei Sinai is a secular communal settlement of some 85 families with a population of about 350. Most of its members are professionals who work in nearby Ashkelon, some 15 kilometers away. The largest settlement in the northern Gaza Strip, Nisanit has some 300 families and a population of about 1,300. Founded originally as a Nahal settlement in 1980, it became a civilian communal settlement in 1993. A secular community, its mostly professional residents work in nearby settlements or in the city of Ashkelon. against the invading Egyptian Army for nearly three months, until the IDF ordered its defenders to abandon it in the summer of 1948. Following the Six Day War, Kfar Darom was reestablished as a combined military/agricultural settlement by the IDFs Nahal Corps and reverted to civilian status as a religious settlement in 1989. Today Kfar Darom has some 65 families and a total population of about 400. Its Institute for Torah and Land seeks solutions for special problems posed by modern agriculture and religious law, and its members earn their livelihoods from agriculture, education, and the professions. Its industrial section houses a regional packinghouse and among its educational facilities is a Center for Child Development. Founded as a Nahal settlement in 1972 by a group from the secular Hashomer Hatzair movement, Netzarim became a civilian religious settlement in 1984. Several years later its members decided to dissolve the kibbutz and change Netzarim into a communal settlement. Its 60 families (population 400) operate a welldeveloped economy that includes hothouse agriculture (tomatoes for export, mangos, leafy vegetables), a chicken run, and a quarry. Some of its members work on neighboring settlements. Due to the security situation, Netzarims children study at Bnei Atzmon. However, three years ago a hesder yeshiva was established in the settlement with 20 soldier/students. This secular communal settlement was established in 1983 and has 30 families. 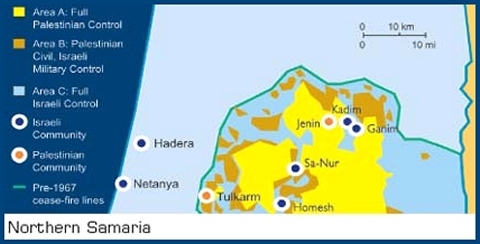 Planned for an eventual population of some 300 families, Ganim was intended to be part of a string of communities across northern Samaria. A mixed secular/religious residential community, Homesh began in 1978 as a Nahal settlement and became civilian with 30 families in 1988. Its location on the highest hilltop in the area affords it a panoramic view of its surroundings and was a security factor in its planning. This secular residential community was first established as a Nahal outpost in 1983, then became civilian the following year with the arrival of 25 families. It was planned to comprise 200 families. Originally settled by the Dotan core group in 1977, this religious communal settlement changed its name to Sa-Nur in 1987 after serving as an artists colony since 1984. It has 15 families and was planned for 80. ¦ 48 graves in the Gush Katif Cemetery, including those of six residents murdered by terrorists, will be exhumed and moved to Israel.